Mike Riley knew he had a big job on his hands when he took over as Nebraska’s head football coach. But now that spring practice is over, Riley will be focusing on the upcoming 2015 season. As we settle in for a long summer offseason, let’s take a look at three things that will be occupying Riley’s attention as he prepares for the upcoming campaign. Notice the very specific phrasing of this challenge. It’s not who Nebraska’s quarterback will be—all evidence points to junior Tommy Armstrong, absent injury. The bigger question is what the role of quarterback will be in Nebraska’s new offense. At Oregon State, Riley’s quarterbacks were pure pocket passers. Riley’s most recent signal-caller, Sean Mannion, left Corvallis as the Pac-12’s career passing leader and was a third-round pick by the St. Louis Rams in this year’s NFL Draft. If that’s going to be what Riley is expecting, Armstrong is a bad fit. Mannion had a career 64.6 completion percentage and a 1.43 touchdown-to-interception ratio (according to Sports Reference), while Armstrong has a career 52.9 completion percentage (according to Huskers.com). But Riley might be changing his expectations of his quarterback. His first quarterback recruit for 2016 (according to 247 Sports) is Terry Wilson, a dual-threat quarterback. Why would Riley be bringing in a dual-threat quarterback if he wanted to move Nebraska into a pocket-passer style of offense? It’s clear that Tommy Armstrong will not be Riley’s Joe Dailey, a run-first quarterback asked to run a pass-heavy offensive scheme. But trying to find that balance between the offense Riley has run with the talent in Lincoln will be one of Riley’s biggest challenges this season. Nebraska’s defense will look quite different under new defensive coordinator Mark Banker. As described by Sam McKewon of the Omaha World-Herald, Banker’s Blackshirts will think less, react more, and play fast. That’s in stark contrast to former head coach Bo Pelini’s focus on complex schemes and blitzes to keep opposing oCffenses off-balance and look for advantages in matchups. It sounds great, a very exciting style to watch. But it will also mean that Nebraska will have to win more battles athletically, as opposed to a reliance on scheme to make up the gap against a more talented opposing offense. And a team playing fast is also vulnerable to misdirections, counters, and other offensive schemes designed to use a defense’s speed and aggression against it. Particularly in year one of Banker’s new defense, Nebraska could be face with growing pains as it learns how to play defense fast and simple. That could result in some ugly plays—which could lead to ugly losses if not managed properly. Say what you will about Pelini and the way he left, but he consistently won nine games. He never had his Callahan moment of a losing season and missing out on a bowl game. Yes, he never won the big prize, but he never guided Nebraska onto the reef like coaches past had done. Some still question the hiring of Riley, whose career record of 93-80 in college may not inspire confidence in his ability to lead Nebraska to compete with Urban Meyer at Ohio State and Jim Harbaugh at Michigan. Of course, as a smart and particularly handsome analyst observed, Riley’s record in Corvallis was far more impressive than the .538 winning percentage, given the limitations at Oregon State. But there will still be some skepticism about Riley’s ability to win at Nebraska. And his first three games present a stern challenge. A home opener against BYU and dark-horse Heisman candidate in quarterback Taysom Hill could easily see Nebraska start off 0-1. And after a paycheck game against South Alabama, Nebraska has to make a trip to South Beach to play a very talented Miami squad. Yes, on paper Nebraska should probably be favored to win both games. But given that Nebraska is also installing a whole new offense and whole new defense, it’s not at all implausible to imagine Nebraska losing to both BYU and Miami. And a 1-2 start to his tenure could easily to poison the well for Riley with the Nebraska faithful, particularly if NU struggles in the rest of the season and limps to a poor (dare I say) Callahan-like record in 2015. Of course, the opposite is true as well. If Nebraska beats BYU and knocks of Miami on national television, Nebraska could find itself vaulted into the spotlight with a feel-good story of Riley’s success. 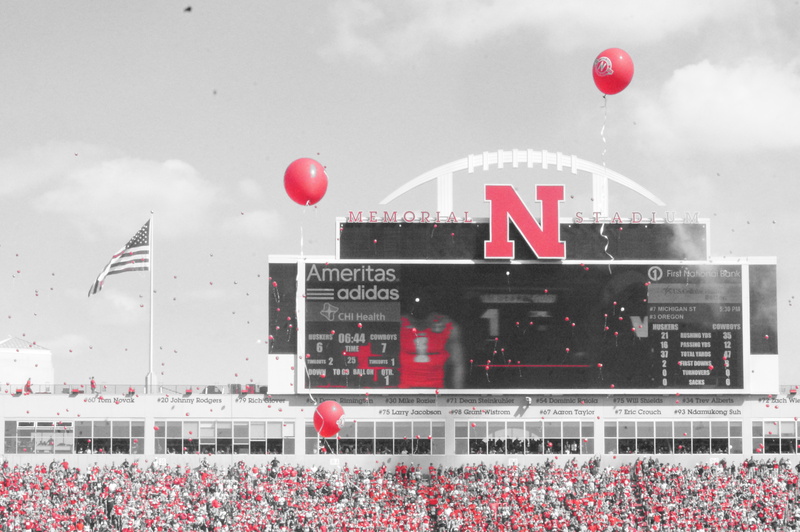 So while Riley should be afforded time to put his stamp on the program, the fact remains that the first three games of his career in Lincoln have the potential to define how he is viewed by the Nebraska faithful and the college football world as a whole.